Custom Swoop Cornice Top Treatment : C.O.M. Custom Swoop Cornice Top Treatment (Style V14) is a gorgeous fabric cornice featuring a single elegant swoop mounted on a fabric wrapped wooden board. 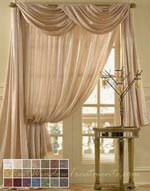 A Swoop Cornice is the perfect transition from traditional window treatments and more modern styles. 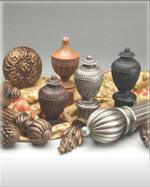 This style will bring designer style into any room . 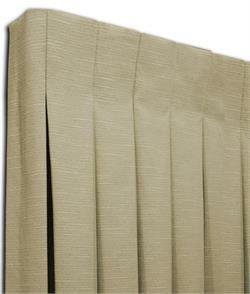 These Cornices work especially well above windows that need decoration but do not need to be completely covered. These custom cornices are durable, light-weight, with no assembly required and very easy to install with all hardware included (just two simple brackets and screws). 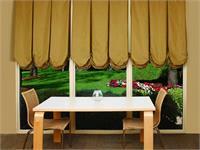 Customers report that installation is very easy! As with all custom products - sales are final and may not be returned so be sure to contact a helpful design rep to ensure all of your design specifications are fulfilled. a. 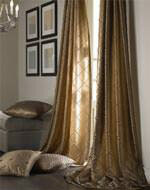 Select fabrics from the Fabrics by the Yard section of our website and we have it shipped to our COM workroom. 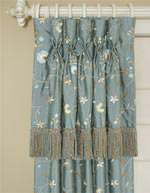 *Some fabrics on our website may not apply, but most are - please inquire! b. 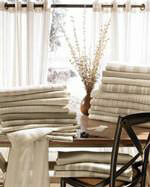 Find your favorite fabric anywhere (in a local store or online) and have it shipped to our COM workroom. 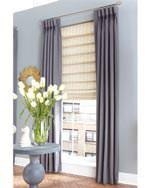 PLEASE NOTE: We can produce almost any coordinating window treatments from our C.O.M Program - from draperies, roman shades to custom top treatment designs. 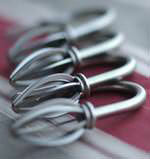 If you can't find a design on our website- email us a picture of the design and we will email you back a quote! Please email at customerservice@bestwindowtreatments.com we will assign a dedicated specialist to assist you within 24 hours. Delivery Time via UPS: 3-5 Standard Days, unless expedited request. 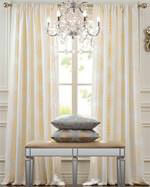 *Make sure to measure the top of the window, as all windows are not perfectly square. 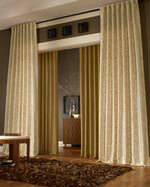 If you are adding coordinating fabrics or sheers, add additional width for curtain panels (see photo below). Please note an additional 1-1/4" will extend beyond your window width given, on both sides, as the cornice itself is 1 1/4 inch thick on the sides. While the cornice is very light, it is thick and the additional thickness needs to be accounted for, in your final measurements for small enclosed spaces. 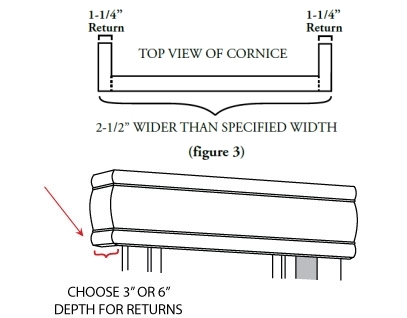 For example, if you request a 40 inch cornice - the inside of the cornice will be exactly 40 inches. But, the overall, final width will be 42 1/2 inches - which needs to be calculated in tight, small spaces, such as kitchen windows or other obstructions, such as walls, another window or decor. 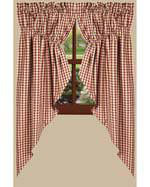 Choose between a 3" or 6" return for your window, depending on the depth. The depth of the return is how far the cornice will project from your wall. identical, but may not be exactly the same.